1125 Oriole Drive Kalona, IA. 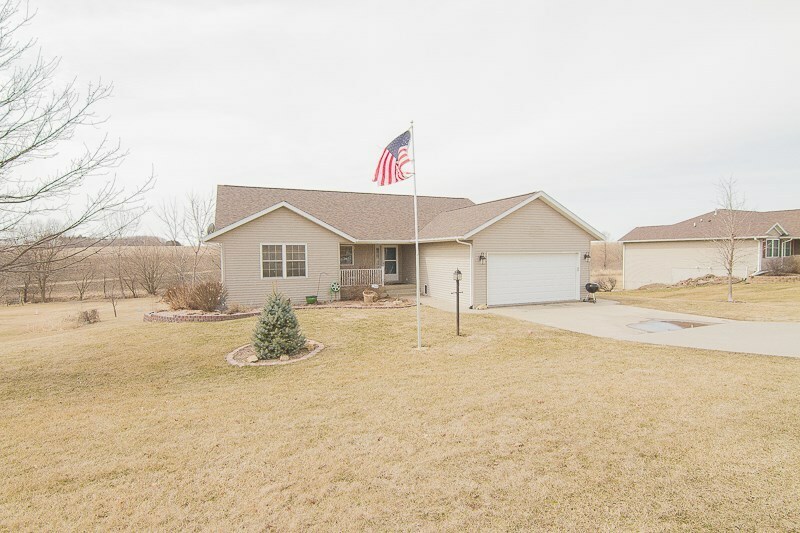 | MLS# 20181868 | Kalona Realty, Inc.; Listings and Selling property in greater Washington and Johnson Co. area. Pristine 4 bedroom 3 bath home! Open concept floor plan, hardwood floors throughout kit & DR, mosaic tile backsplash in the kitchen, SS appliances staying, pull out pantry drawers. Main level laundry includes washer & dryer. 16 x 11 screened porch off the DR with beautiful countryside views! Main level master suite w/ private bath & huge walk-in closet! Extra storage throughout. Walkout LL, large family room w/pellet stove. LL features conforming bedroom w/ walk-in closet & full bathroom. Great location! !